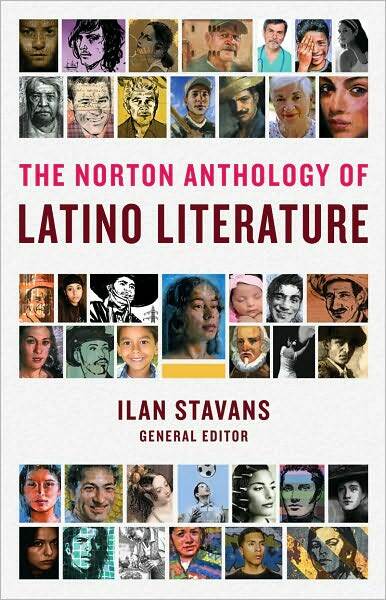 The Norton Anthology of Latino Literature, edited by Ilan Stavans (W.W. Norton & Co., $59.95 hardcover), is a remarkable achievement. Thirteen years in the making, it brings together the work of 201 writers, all in one volume released by Norton, the best-known publisher of literary anthologies. Stavans could not do this alone. 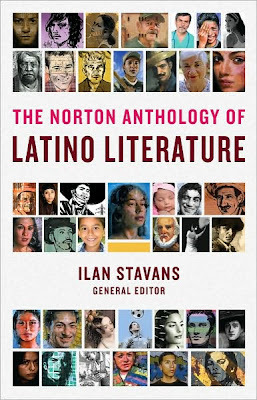 His team of editors includes some of our most distinguished scholars of Latino literature: Edna Acosta-Belén (University at Albany-SUNY), Harold Augenbraum (National Book Foundation), María Herrera-Sobek (University of California at Santa Barbara), Rolando Hinojosa (University of Texas at Austin) and Gustavo Pérez-Firmat (Columbia University). Doubtless the anthology -- which its editors call NALL -- will become required reading in high schools and colleges across the country. I recently interviewed Stavans about the production of this anthology. I noted that before he and his editors could even begin, they had to define two terms: "Latino" and "literature." Those terms "are at the core of the endeavor," Stavans said. "The preface to the anthology ponders the various appellations of the Latino minority over time, including Spanish-speaking people, Hispanics and hispanos, and how each of these appellations fits into a particular historical context. Nowadays, newspapers like the New York Times, Washington Post and Los Angeles Times oscillate, within the same article, between Hispanics and Latinos." "Latino" won out because "the editorial team endorsed the name preferred by the community itself, not the one coming from governmental sources." As for how the editorial team defined "literature," Stavans explained that the anthology is "open-minded." Aside from including what we would expect (short stories, poems, plays, essays, and fragments of longer fiction narratives), the anthology also contains cartoons, blogs, letters, lyrics, dichos, folk tales, chistes and children's songs, among other items. S tavans explained that "the entries cross freely the artificial border between so-called high-brow and pop lit." One of my other concerns was how the editors decided to organize the anthology. After all, the books clocks in at more than 2,600 pages, which translates to an earth-shattering 1,403,804 words and 3,271 footnotes. Stavans explained that the content, "organized chronologically, is divided into six major sections, the fifth of which is by far the longest: Colonization (1537-1810), Annexations (1811-1898), Acculturation (1899-1945), Upheaval (1946-1979), Into the Mainstream (1980-present), and Popular Dimensions." He noted that the "last section features historical documents and essays by prominent Latin American writers on Latinos or life in the United States." I wondered what Stavans hoped readers would get out of the anthology. 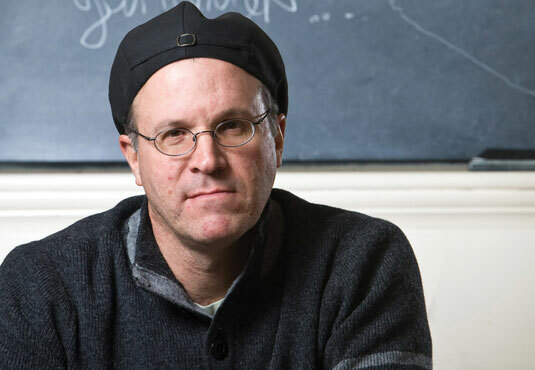 "The span of possibilities that is Latino literature in the United States: ambitious, restless, forward-looking yet rooted in the past, politically engaged, with ties to Latin America, the Caribbean and Spain, and, needless to say, in constant dialogue with other literary traditions in the United States," he replied. "There is no literature without readers, and NALL wants to reach readers of all kinds. This is a book about Latinos but not only for Latinos."